I've been a fan of record label and music collective Soulection for a while now. Their weekly radio show and monthly parties offer a perfect blend of hip-hop, soul, jazz, and R&B with house and world music influences. Whether you just want to chill and rock to the beat, or twerk a little somethin', they offer music that almost anyone can get down to. 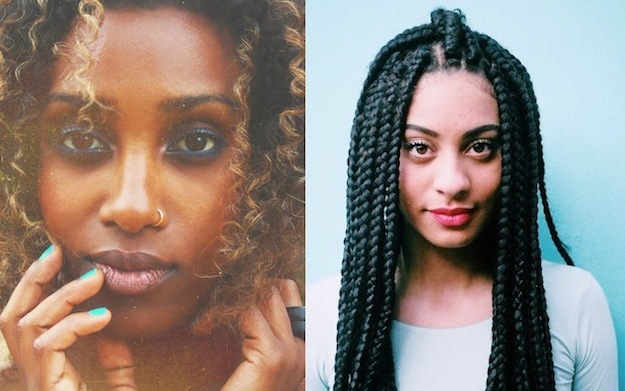 I'm especially a fan of Soulection DJs Eden Hagos and Hannah Faith. The two women tour and spin internationally, while also maintaining pretty spectacular playlists and mixes on Soundcloud. Whether, you're enjoying a quiet girl's night in, going out until the early AM, or having a house party, Eden and Hannah got you hooked up. Have a listen to a few of their mixes below! Mixes from Eden Hagos - "Feelings" and "Fruitful"
Michelle Denise Jackson is a writer, storyteller, performer, and Senior Editor at For Harriet. You can follow her on Twitter @MichelleJigga or drop her a line via email at michelle@forharriet.com.